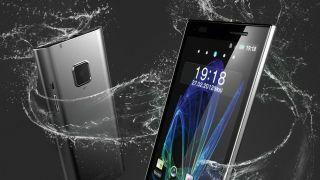 We first saw the Eluga Power back in February at MWC 2012, alongside it's less-powerful and smaller sibling the Panasonic Eluga, which graced us with its presence for an in-depth review, but both handsets remain officially unavailable in UK unless you head to a third party internet vendor. TechRadar spoke to a Panasonic. which said: "Panasonic markets the Eluga smartphone to consumers in Germany and Italy and does currently not have any plans to change this." It looks like we're out of luck here in Blighty with no sign of the Japanese firm issuing us with a dust- and water-proof Eluga experience anytime soon. The spokesperson went on to say: "Any further plans for the smartphone market are yet to be confirmed and at this stage, we have nothing further to report." The Times reports that Panasonic is currently reviewing its smartphone plan, and deciding on whether or not it should continue to try and compete in the already crowded sector, or instead focus on specific devices for certain industries. There may be a small glimmer of hope, as Panasonic hasn't completely ruled out a UK launch, although the longer we wait, the further the Eluga and Eluga Power fall behind in the smartphone race, with other manufacturers stealing the show.